As a buyer in Delaware or Southeastern Pennsylvania, it is essential to consider all costs association with your new home. Everything from maintenance to renovation, repairs and closing costs should be factored in to ensure that you do not have any surprises or worries down the road. 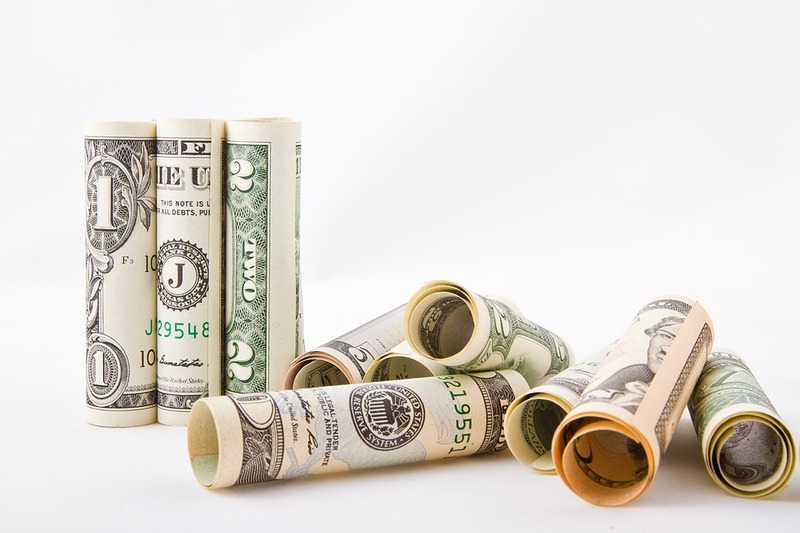 But if you're purchasing a new construction home in the Greater Wilmington area, it's also important to be aware of the costs you'll have after the closing. Yes, all homeowners will have utilities to factor into their budget, but if you're moving up to a larger home, you will need to research how much more yours will cost. If you're relocating to Delaware or Pennsylvania, you may also have a deposit or set-up fee for installing new services like cable or bringing in new equipment that may have already been in place in an existing home. Remember that when you purchase a new construction home, you are the first owner! There are no window coverings to work into your offer. You will want to take measurements of the windows and note how many when adding up your costs. Plus, it's key to start early as lead time for receiving new window coverings could take longer than expected, leaving you with no privacy upon move-in! With some builders, you will be able to work an appliance package into the overall purchase price of the property. However, that is not always the case! After you've inquired with the builder about what is and is not included in the price, it's time to sit down and decide all of the appliances you will need and how much they will run you. You will want these in place on your move-in date! You've probably been dreaming about the interior of your new Delaware or Southeastern PA home and as a result, the exterior has not even crossed your mind. Landscaping outside of your new construction home may look pristine, but is the backyard on the same level? Make sure you know if the landscaping will be finished by the builder or if that is an additional cost for you. What's more, if you will live in a homeowners' association, note if there is a timeline to have landscaping completed. Does a new construction home feel like the best fit for you this year? 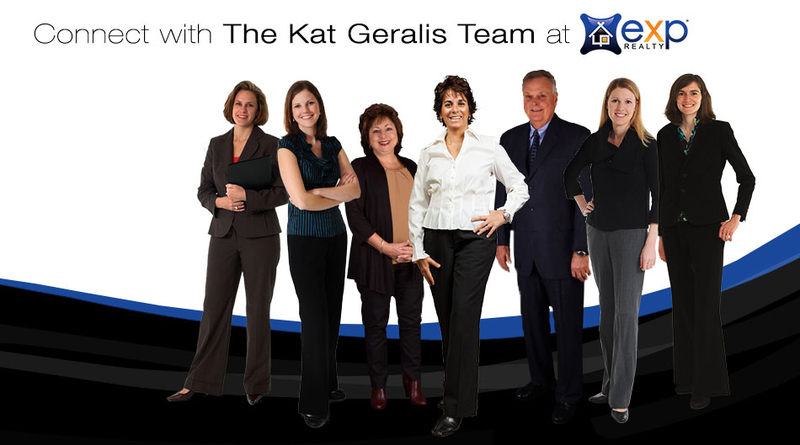 Give the Kat Geralis Home Team a call today for more information about available properties or how you can get started on your home buying journey! Homebuyers in today's real estate market may have fewer properties to choose from than they have in the past, but they do have two important choices— existing home or new construction. Existing, as you may have guessed, are lived-in homes while new construction offers the option to be the first owner, occupant and at times, choose your own fixtures and features. Finding homes for sale in Delaware and Pennsylvania can be done easily online, but know that new construction properties are not always listed in the MLS. If you are interested in a new home, it is best to work with your real estate agent to gather all possible options that may not be present via a home search. A home seller in an existing property often has lived there for many years and has dozens of memories tied to the place. As a result, you may find that the home price is too high or other questions or issues come up when working with the owner, simply because they are not ready to let it go or are having a hard time doing so. With new construction homes, there is no emotional attachment to the property. In fact, your financial situation and negotiations on behalf of your agent are all that the builder (or sales rep) will focus on when selling. Your real estate agent will know how—and if— you can negotiate discounts when purchasing a new construction home in Wilmington or Newark DE, Chester County or Delaware County PA. For instance, discounts may be available to buyers that get into contract early on in the sales process or at the end, when upgrade packages can be worked into the deal. If you're interested in buying a new construction home this year, the KG Home Team is on your side! We will work on your behalf, with your best interests in mind— unlike buyers who work directly with a builder. Contact us today for more information on available properties and the current real estate market. New construction has been growing as a popular alternative to existing Wilmington DE homes and just as with any property, buyers have a list of must-haves. A recent survey revealed what buyers can expect to find in the new construction market and as it seems, many of the trends just may fit the bill! Garages in the area are getting more enhancements as of late, from new windows to insulated doors and those made of more energy-efficient materials. They're also getting larger! In 2013, most garages were built to accommodate three or more cars. While carpet continues to be the most popular flooring choice in new construction homes, less than half of living rooms now have carpeting. Hardwood floors are the second most popular choice of flooring and is included in over 1/4 of all new home installations. Granite counters are commonly listed among a Wilmington DE homebuyer's must-haves in a new home and according to the survey, they will be happy to find them in most new-builds. Granite is found in 64 percent of all new home installations. Freestanding ovens are becoming less popular in new construction as cook tops and wall oven combinations gain traction. Freezer-on-bottom refrigerators are also gaining steam in the new home market. Sinks are growing in importance for homebuyers today, with the single basin sink showing up in 20 percent of all new single-family homes in the last 10 years. Granite and stone kitchen sinks are also making an appearance in 8 percent of all new homes. If you're in the market for a new construction home this year, you can count on the KG Home Team to assist you. As your buyer's agent, we always work on your behalf, never the builder's! Contact us today for information about available homes in the Greater Wilmington area. Many homebuyers today do not know what they need to qualify for a mortgage— it's less than you think! Gone are the days of 20 percent down or no deal! With a total of five common factors, you can make your homeowner dreams come true. In the past, Wilmington and Newark DE area home sellers have had to compete with a large inventory of distressed properties—both foreclosures and short sales. Now, the amount of foreclosures and short sales available has dropped significantly in most markets and for home sellers, spring seems to be the time to list with the competition gone. However, 2015 holds new competition and Delaware homebuyers are viewing it as the better option over what is available in the current real estate market. Newly-constructed homes accounted for 16% of all homes sold in 2014, according to the National Association of Realtors' Profile of Home Buyers & Sellers. 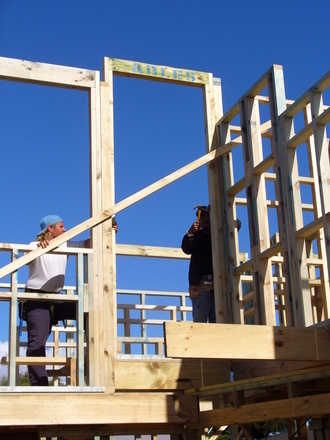 New construction homes in the Wilmington area not only offer them the ability to customize and choose the home's design, but also free them from the burden of existing home issues. One of the main reasons new construction is emerging as a strong competitor for home sellers is the current lack of inventory. In fact, the number of those who cited a lack of existing homes in the survey is likely to increase this year. Existing home inventory is currently sitting at a 4.7 month supply, while it needs to be at 6 month supply to maintain a "normal" market by historical standards. In comparison, the inventory of new construction homes available is currently pegged at a 5.4 months supply. So, what can you do to avoid the competition as a Wilmington or Newark DE home seller? List now! Many homeowners are waiting until spring to list their properties and acting now could put you ahead of this rush of homes soon to hit the market. As your Greater Wilmington real estate experts, the KG Home Team can walk you through the home sale process every step of the way. Do not hesitate to contact us with any questions and if you're ready to get started, we're here to help! While home sales did indeed stumble in January, compared to December, we can see that existing homes sales have outpaced last year every month. In fact, this January's sales numbers were 200,000 homes greater than January of last year. Also better when referencing last year's numbers are pending home sales. The number of houses going into contract has done better in the last five months as compared to last year at this time. What does that mean for you? Don't be afraid to list! Demand is currently 3 times greater than last year and today's housing inventory is not enough to support the motivated buyers. This may be the perfect time to get the best price for your home! The real estate market has seen significant changes and pushes in the right direction this fall, all pointing to signs of a stronger, more positive future. For instance, mortgage rates dropped to their lowest point in over a year and are now hovering just under 4%. But that's not the only factor to sing about this season— new and existing home sales are also at their highest levels of the year. According to the National Association of Home Builders, the sales of newly-built single family homes have edged up for the third consecutive month. Rising just 0.2 percent in September to an annual rate of 467,000 units, new home sales are now at their highest level since June 2008. The NAHB chief economist also acknowledged the slow-growing inventory of new homes as a sign of confidence among home builders. While the inventory and sales of new construction homes does vary by location, the Kat Geralis Home Team is happy to provide you with more information on these properties in and around Wilmington, Delaware. On the existing home front, sales saw quite the turnaround in September as they climbed to the highest pace of the year. Every region except for the Midwest reported gains in existing home sales and given low mortgage rates, a healthy real estate market should continue as we near the end of the year. "Traditional buyers are entering a less competitive market with fewer investors searching for available homes," said the National Association of Realtors' chief economist. However, they "may also face a slight decline of choices due to the fact that inventory generally falls heading into winter." Existing home sales, rising to the tune of 2.4 percent in September, coupled with increases in newly-built single family home sales are two strong signs of confidence among both builders and homebuyers. If you're ready to take advantage of the current real estate market conditions in the Wilmington, DE area, the KG Home Team is happy to help. Having just been ranked the #1 Keller Williams agent in Delaware, you can be certain you're working with the best! Many homebuyers have misconceptions about how much down payment is necessary to purchase a home. 15 to 20 percent? Don't be too quick to assume! As it turns out, you may not need nearly as much as you think— you could become a homeowner with a down payment in the single digits! When you are ready to buy or sell a home in the Greater Wilmington Delaware area, you want to work with the best. That's why I am happy to share that I've been ranked the Top Keller Williams agent in Delaware! Choosing from over thousands of real estate agents, Real Trends takes into account both transactions and sales volume when compiling their list. Given these factors for this year's Best Real Estate Agents in America, I was ranked 3rd Best Agent in the State of Delaware and the Top Ranked Keller Williams Agent! So, don't work with just any agent in the Wilmington, DE area this year, work with the best. A real estate agent can accomplish so much on your behalf, whether you're buying a new home or selling your current property in Wilmington or Newark, so don't go it alone. It's always best to leave it up to the pros in order to have a smooth and less stressful real estate journey. The KG Home Team offers all of these services and more— our experience in the Greater Wilmington area is unparalleled and available to assist you in achieving your Delaware real estate goals. With mortgage rates this low, waiting to buy a home in Wilmington, DE no longer makes sense. In fact, did you know that buying a home is 38% less expensive than renting? It's true! Nationally, rates would have to rise to 10.6% for renting to be cheaper than buying and rates haven't been that high since 1989! 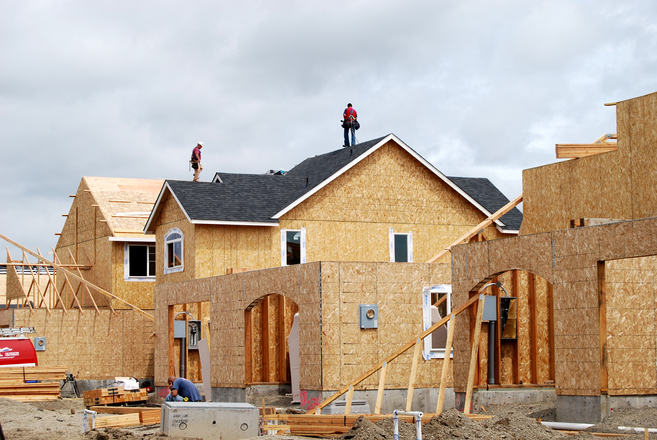 In past months, the outlook for new construction homes has been less than significant, but it seems the month of August saw a major turnaround. With an improving job market and low mortgage rates, home builder optimism soared, thus boosting their outlook for sales. According to the National Association of Home Builders, builder confidence in the single-family home market rose two points in August. With the number rising to 55, it was the second consecutive month at a level over 50, indicating that builders are viewing the market conditions are more positive than negative. The builder confidence index was previously expected to hold steady at a 53, according to economists, but builders are growing increasingly optimistic given the job market and mortgage rate factors. Declining affordability for homebuyers had pinched home builders in the earlier part of the year, but NAHB Chief Economist is confident the new construction market will see improvements, including further increases in confidence, as we move forward. "Factors contributing to this rise include sustained job growth, historically low mortgage rates and affordable home prices," he said. In addition, these favorable conditions are also prompting more serious homebuyers to enter the market. What does this mean for you as a Wilmington, DE homebuyer? With builder optimism at a seven-year high, you can confidently move forward as a local homebuyer— it's time to team up with a buyer's agent to begin your new construction home purchase. Many Delaware homebuyers make the mistake of buying a home directly from the builder, while a buyer's agent can work on your behalf oftentimes with much better results. A salesman will look out for the best interests of his own company, while a buyer's agent looks out for you! Your buyer's agent will also ensure you're not overpaying for a property, given other comparable homes in the area, which is a common new construction blunder for those that forgo working with an agent entirely. We're happy to help you along every step of the homebuying journey— whether you're interested in an existing home in the Wilmington or Newark area or new construction properties. Contact us today to see what's available! Summer is an exciting time in local real estate— the conditions are ideal for moving, homebuyers are feeling motivated and home sellers are ready for a change of scenery. However, despite the market statistics on rising mortgage rates and housing prices, there are still a few buyers on the fence. If you're currently renting, ask yourself where your money is going every month. When you rent a home in Delaware, you are paying down your landlord's mortgage, not your own. 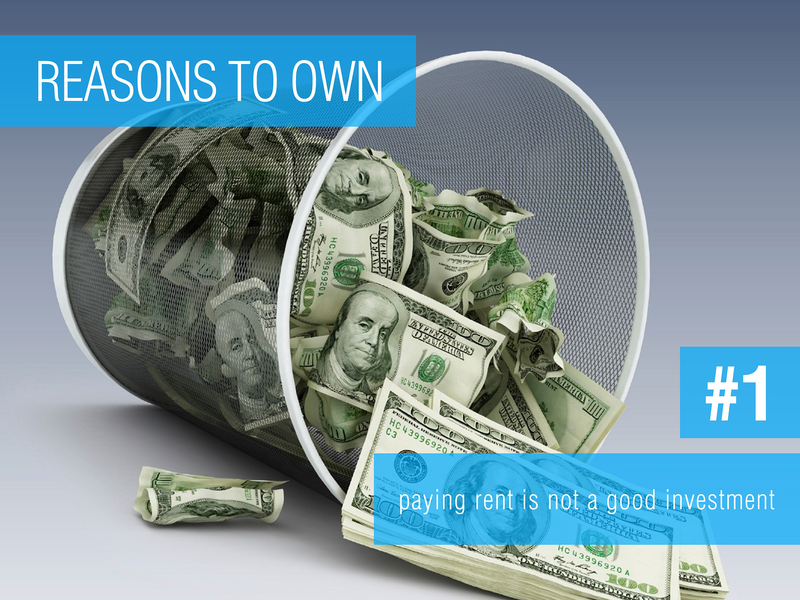 When you own a home, you are paying down your own mortgage and putting your money into a much more solid investment. Owning a home can be a great boost of community pride for Wilmington, DE residents. It motivates you to get out and get involved in local events, neighborhood issues and upkeep. Homeownership can help you to feel like you're coming back to a place that is truly your own. When deciding whether to purchase a home in Wilmington or Newark, ask yourself if you have enough room in your current home. Do you have enough storage space? Is your family growing? Could you use an extra bedroom? If you answered yes to the last two questions, then it may be time for you to move. Homeownership allows you to choose a new home that fits your needs, especially in terms of extra space. Right now is an exciting time in the local real estate market as mortgage rates are still considered "low" but slowly rising— it's a time where potential buyers can make a move without feeling the financial strain or without feeling like they've been "priced out" of the market. Real estate is very much about timing and if you've been on the fence, the time is now! If your family is growing, school districts are something to take into account. Purchasing a home allows you to choose the best district and put down some roots— many homebuyers today are willing to move for the schools, so consider your family's needs when making your decision. Whether you decide to purchase a new construction home or an existing home, the KG Home Team can help you! We will act as your buyer's agent in cases of new construction, as well as answer all of your questions about first-time homebuying! We even offer FREE first-time homebuyer seminars! When shopping for a new home in Wilmington or Newark DE, homebuyers will likely browse a mix of existing and new construction properties. Your real estate agent is there to help with every step along the way, with every milestone of your homebuying journey— but what if you choose new construction? Many homebuyers make the mistake of purchasing the home directly from the builder, foregoing the agent entirely. There are many benefits to using a buyer's agent when purchasing new construction, so don't hesitate to reach out to the Kat Geralis Home Team for help this summer! When you work with a buyer's agent in buying a new construction home, you can be certain they are working with your best interests in mind. When you buy directly from the builder, this is not the case. The salesman of the properties is looking out for the best interests of his own company, not necessarily for yours as the buyer. A buyer's agent is all yours— available to help you find the best home in Wilmington or Newark and at the best price. No matter if you're purchasing an existing home or new construction, you'll want an agent with experience and knowledge of the area. Your buyer's agent makes it their main priority to stay educated on the current market trends and available properties. The KG Home Team is an expert resource for real estate in Wilmington and Newark and comes packaged with years of experience to aid in your home purchase. Having decided to purchase a new construction home, be aware that this is likely one of the biggest purchases you'll ever make, so let your buyer's agent work to save you money. Your buyer's agent has the experience and knowledge of the area that will help you find the best deal— knowledge that a builder or their salesperson may not have. Your buyer's agent will ensure you are not overpaying for a home by researching comparable sales and properties. Finally, they've been through this before! Your buyer's agent knows the secrets of purchasing new construction and the in's and out's of working with a builder. As a homebuyer, you don't want to have to be the negotiator. Your buyer's agent does this for you! Regardless of what the builder says about negotiating on price or other features, your agent knows there is always room. The buyers agent has mastered the art of negotiating and this can help you save thousands in the grand scheme of buying a new home. Are you thinking of purchasing a new construction home this summer? Let the KG Home Team work on your behalf! We'll do the research and the negotiating so you don't have to— we're here to help! Contact us today.